A very simple and quick pasta sauce but so very tasty. 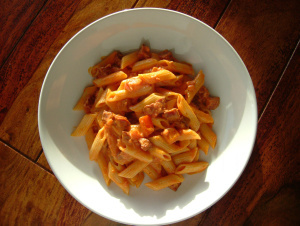 This is a brilliant recipe for a quick midweek meal and by varying the ingredients, say by adding chilli, using pancetta instead of chorizo and using linguine instead of penne, you will have a versatile base for many different pasta dishes. Heat the oil in a sauté or frying pan over medium heat. Add in the chorizo and cook for 5 minutes stirring occasionally. Add in the red pepper strips and continue cooking for a further 5 minutes then add in the garlic and stir for 1 minute. Turn up the heat and add in the glass of white wine, stir and then allow to simmer until the wine has reduced down (to around half), then add in the tomatoes, stir and cook for 5 minutes before adding in the cream. Cook for a further 5 minutes, stirring every now and then, until the sauce has reduced and thickened. Taste and season with salt and pepper. Whilst you are cooking the sauce put the pasta on to cook as per the packet instructions. Drain and then toss in to the pan of sauce to coat and serve. Chicken wrapped in bacon with Red Pepper SauceIn "Dinner"
« Probably the best cookery competition in the world…. Fab. 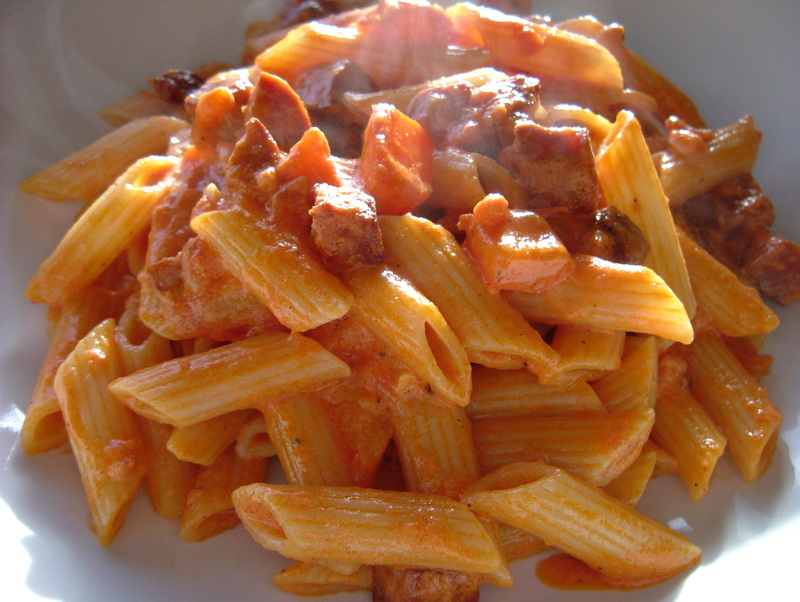 I’m all about the pasta right now – just want to eat it all day long. All this cold weather is giving me carb fever! 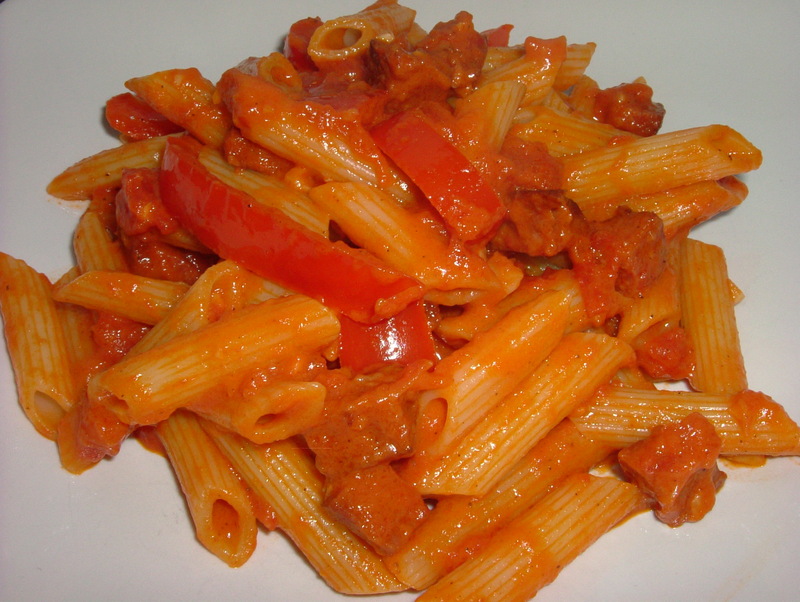 This looks really yum too – nothing like chorizo to do all the work for a cook sauce wise!